John Strachey, the son of John Strachey, the editor of The Spectator, he was born on 21st October 1901. He was educated at Eton College and Magdalen College. At Oxford University, he was editor, with Robert Boothby, of the Oxford Fortnightly Review. After leaving university Strachey became a journalist. Despite his conservative background he became a socialist and in 1923 he joined the Labour Party and edited the Socialist Review. Strachey became the parliamentary candidate for Aston Manor in Brirmingham and won the seat in the 1929 General Election. The new Prime Minister, Ramsay MacDonald, appointed him to the post of Parliamentary Private Secretary to Oswald Mosley. In 1930 Mosley proposed a programme that he believed would help deal with the growing unemployment in Britain. Based on the ideas of Maynard Keynes stimulating foreign trade, directing industrial policy, and using public funds to promote industrial expansion. When MacDonald and his cabinet rejected these proposals, Mosley and Strachey both resigned from office. Ramsay MacDonald asked Sir George May, to form a committee to look into Britain's economic problems. When the May Committee produced its report in July, 1931, it suggested that the government should reduce its expenditure by £97,000,000, including a £67,000,000 cut in unemployment benefits. MacDonald, and his Chancellor of the Exchequer, Philip Snowden, accepted the report but when the matter was discussed by the Cabinet, the majority voted against the measures suggested by May. Ramsay MacDonald was angry that his Cabinet had voted against him and decided to resign. When he saw George V that night, he was persuaded to head a new coalition government that would include Conservative and Liberal leaders as well as Labour ministers. Most of the Labour Cabinet totally rejected the idea and only three, Philip Snowden, Jimmy Thomas and John Sankey agreed to join the new government. MacDonald was determined to continue and his National Government introduced the measures that had been rejected by the previous Labour Cabinet. Labour MPs were furious with what had happened and MacDonald was expelled from the Labour Party. Strachey resigned from the Labour Party and joined the New Party, an organisation founded by Oswald Mosley. Other supporters included William Joyce, John Becket and Harold Nicholson, but in the 1931 General Election none of the New Party's candidates were elected. In January 1932 Oswald Mosley met Benito Mussolini in Italy. Mosley was impressed by Mussolini's achievements and when he returned to England he dispanded the New Party and replaced it with the British Union of Fascists (NUF). Strachey, a strong opponent of the emergence of right-wing totalitarian governments in Europe, did not join the NUF. This was reflected in the content of his next book, The Menace of Fascism (1933). Strachey now became a member of the Communist Party of Great Britain and in 1934 he joined forces with Tom Wintringham and Ralph Fox to establish the Writers' International, "an association of revolutionary socialist writers who are working for the end of the capitalist order and a new order based on co-operative effort." 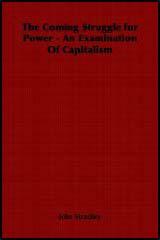 In 1936 he published The Theory and Practice of Socialism (1936). In 1936 he joined with Victor Gollancz and Harold Laski, to form the Left Book Club. The main aim was to spread socialist ideas and to resist the rise of fascism in Britain. Jennie Lee remarked that "John Strachey was a brilliant expositor and in his work for the Left Book Club made an imposing contribution to the political education of a great many people on both sides of the Atlantic." Beginning with a membership of 10,000, numbers rose to 50,000 by 1939. The most important book published by the Left Book Club, was The Road to Wigan Pier by George Orwell in 1937. Harry Pollitt, the leader of the Communist Party of Great Britain remained loyal to Joseph Stalin until September 1939 when he welcomed the British declaration of war on Nazi Germany. He published a pamphlet entitled How to Win the War. It included the following passage: "The Communist Party supports the war, believing it to be a just war. To stand aside from this conflict, to contribute only revolutionary-sounding phrases while the fascist beasts ride roughshod over Europe, would be a betrayal of everything our forebears have fought to achieve in the course of long years of struggle against capitalism." Stalin was furious with Pollitt's pamphlet as the previous month he had signed the Soviet-Nazi Pact with Adolf Hitler. At a meeting of the Central Committee on 2nd October 1939, Rajani Palme Dutt demanded "acceptance of the (new Soviet line) by the members of the Central Committee on the basis of conviction". This was agreed and Pollitt was forced to stand down as General Secretary. Strachey was appalled by these events and resigned from the CPGB. Strachey served in the RAF during the Second World War. He rejoined the Labour Party and in the 1945 General Election returned to the House of Commons as the MP for Dundee. He served under Clement Attlee as Under-Secretary for Air (1945-46), Minister of Food (1946-50) and Secretary of State for War (1950-51). John Strachey died on 15th July 1963. (1) In her book My Life With Nye, Jennie Lee explained her views on John Strachey. John Strachey was a brilliant expositor and in his work for the Left Book Club made an imposing contribution to the political education of a great many people on both sides of the Atlantic. The trouble was that he had no compass on his ship. He was all over the place; he lived entirely in a world of abstract concepts. When his pro-Mosley association ended, he was as contemptuous as ever of the broadly based Labour movement, and found a new role for himself as a leading exponent of Communist theory and practice. Its basis certainly came from the torn, wounded, dismembered houses; from the gritty dust of dissolved brickwork, masonry and joinery. But there was more to it than that. For several hours there was an acrid overtone from the high explosive which the bomb itself had contained; a fiery constituent of the smell. Almost invariably, too, there was the mean little stink of domestic gas, seeping up from broken pipes and leads. But the whole of the smell was greater than the sum of its parts. It was the smell of violent death itself. There is a little-known Attlee story concerning John Strachey, at that time Minister of Food. A Cabinet rule in the manual Questions of Procedure for Ministers forbids any minister from publishing written work, such as a book or press article, without the specific authority of the Prime Minister. 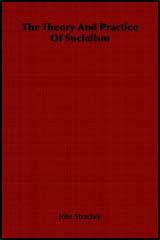 This is not usually withheld for a literary or historic work, such as lan MacLeod's Neville Chamberlain. Strachey telephoned the Prime Minister - he should have gone to see him - "Prime Minister," he said, I see that under the rules I have to get your permission to publish a book. I have written a small collection of poems; there is nothing political or controversial in them. I take it you will agree to my publishing them." Attlee would have none of it: "Better send them to me." A fortnight later, Strachey had not heard from him, which was unusual since Attlee normally completed his boxes every night and never deferred any correspondence. So Strachey phoned again: "Clem, I take it you've no objection to letting me go ahead and publish those poems I sent you." "Can't publish," said Attlee, and when Strachey asked for his reason: "Don't rhyme, don't scan."